Does Dell deserve to be lynched for attempting to register the ‘cloud computing’ trademark? I guess that depends a lot on their motives (which we will likely never know). If they sought to protect their business from one of their competitors doing exactly the same thing then it is more excusable than if it were an attempt to gain an unfair advantage by way of a state sanctioned monopoly over the term. I like Dell and I’ve recommended their machines for a long time – they made PCs about price and played a key role in their commoditisation (which in turn put them into the hands of people who could never have otherwise afforded them). Their hardware for the most part finds a good balance between cost and quality and their enterprise kit holds its own against more expensive offerings. Like many, I’ve had good times and bad times with their support, but I’m not envious of their position (computers are complex yet cheap machines and support is hard to get right). Granted, Dell were caught with their hand in the cookie jar (and likely would have got away with it were it not by pure fluke that I stumbled on their application), but they didn’t, and there’s something to be said for our leaving the cookie jar out on the counter in the first place. That is to say, perhaps we should be taking a closer look at the USPTO’s ‘flawed processes‘ which allowed them to get this far in the first place, or further up the chain in terms of the legislation which makes it possible? For example we could start by prohibiting non-arbitrary trademarks which apparently works well in the UK where you can only register ‘descriptive’ trademarks that aren’t actually descriptive, like Arctic Bananas™ which do not exist, as opposed to Brazilian Bananas which do. There are no doubt many other measures that could be deployed but (although I feel like one sometimes), I am not a lawyer. Another thing to keep in mind relates to how the international trademark system itself works. Thanks to the Madrid System it’s not just USPTO we have to keep an eye on – there’s some 80 members and a registration with any one of them can be expanded to any or all of the others within the following 6 months. When marks filter through from other countries they have the opportunity to object, though I’m not sure whether they actually do in practice, nor whether there is any way for the general public to intervene. Mitsubishi, for example, may have had trouble extending the Pajero trademark into Spain for fear of causing offense. 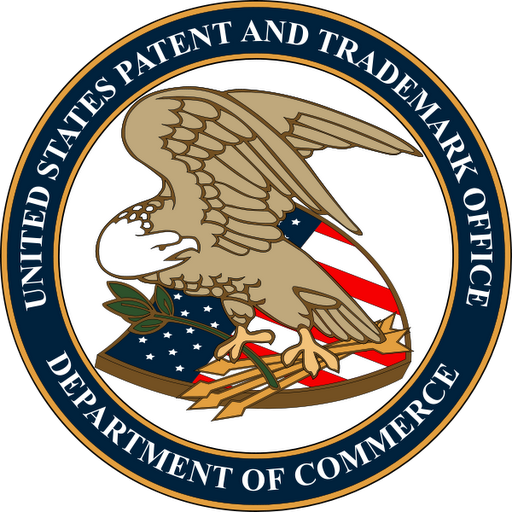 USPTO have been taking quite a beating of late, mostly over controversial patents, but now over controversial trademarks as well. Like Dell, I don’t envy USPTO’s situation – they literally need to be experts in everything but we all know the saying ‘jack of all trades, master of none’. The assigned attorney for example is a young woman who likely has no formal training in computing and could well have been dealing with a trademark for juice extractors before this one and DVD vending machines afterwards. All we know about her is that she looks pretty in a wedding dress (yes, someone actually bothered to look her up), and even that is more than we ever needed to know… if having an Internet presence (however small) were a requirement for holding a trademark then a quick Internet search could do most of the work for them. They could even use cloud computing in the form of Amazon Mechanical Turk to affordably outsource the process! Indeed I’ve seen notes in files about examiners conducing Internet searches and it is amazing that this isn’t an integral (and largely automated) step; adding the results of a web search for the term at the time of application to the file would be incredibly helpful for post-mortems too. Release the data the public needs in order to assess the applications (eg the Trademark Gazette) – ‘printing’ an XML file is free. On our side we can also pitch in, provided we are given the tools we need (above) to do so. There are similar efforts underway already for patents, but one very effective measure would be to set up something like Wikipedia’s New Pages patrol, whereby all new pages are flagged until approved. In reality most of the people reading this post will care about classes 9 and 42 (and possibly 35, 38 and 41) so already most of the noise will be filtered out. Something like this would be fairly easy to implement, but without a feed of the applications it’s unfeasible so the ball’s in USPTO’s court.